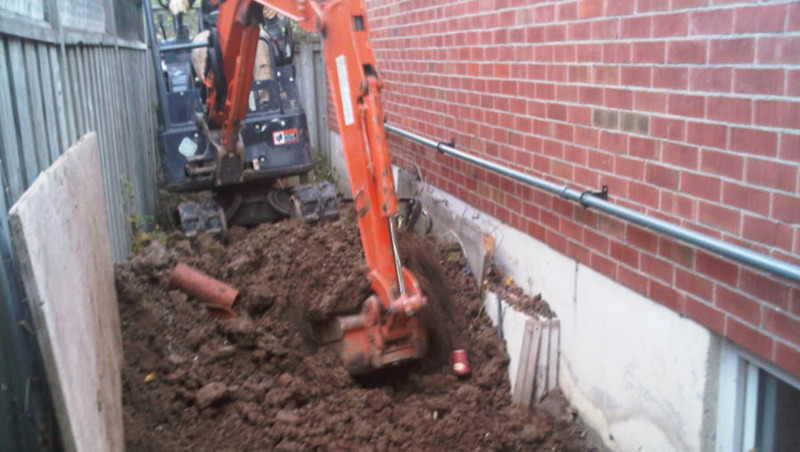 Leaking basements issues are a very common problem (sadly) and there is only one effective way to permanently resolve water leaks for existing masonry (concrete) retaining walls. 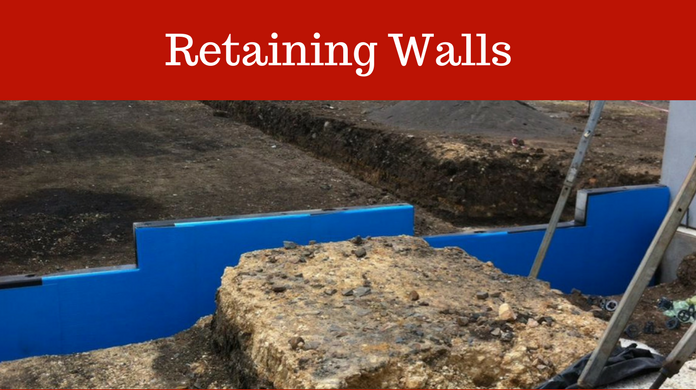 The best and permanent solution to stop water leaks to below ground walls – either cement block retaining walls, masonry, besser block etc - is to do the job right ! That means using the correct below grade system possible - and not just based on price alone. The consequences of basement leaks can be expensive and time consuming. If remedial waterproofing is required further down the track, then “positive” waterproofing - on the external surface - is the best option..
How To Waterproof Retaining Walls? 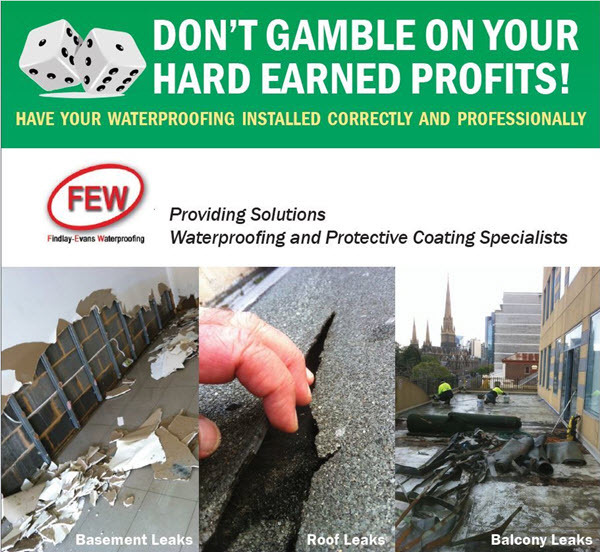 Using low-cost waterproofing product and is not guaranteed by the manufacturer. Not worrying about the standard of work, prep or number of waterproofing coats applied. Skimping on drainage behind the wall. The basement and/or retaining wall needs to be excavated from the outside and ALL the way down to the base of wall and just beyond (onto the footing or edge of concrete slab). •This is to expose the affected basement wall/s. 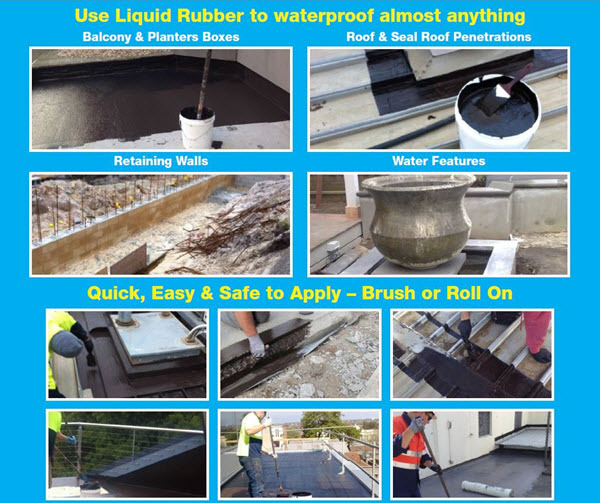 The best and permanent waterproof solution to stop water leaks to below ground walls – either cement block retaining walls, masonry, besser block etc - is from the outside. 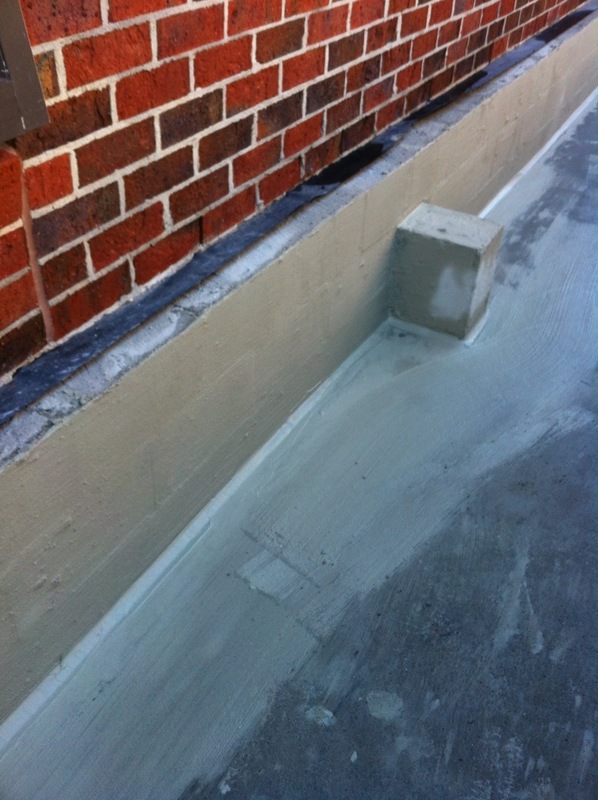 Best practice waterproofing method is meticulous preparation – a detailed clean & dry wall. This stage is often not left out and not performed to standard. Any imperfections repaired with either a sand and cement slurry (bagged) with a bit of Bondcrete mixed in and applied to all the brickwork joints and any holes, etc to create a surface for the new membrane application. Allow the bondcrete to dry out for a couple of days. You would then thoroughly clean (wire brush) the wall. After that you would bag the wall by using a hessian "bag" and apply sand and cement mortar slurry to fill all the little gap and holes in the wall. 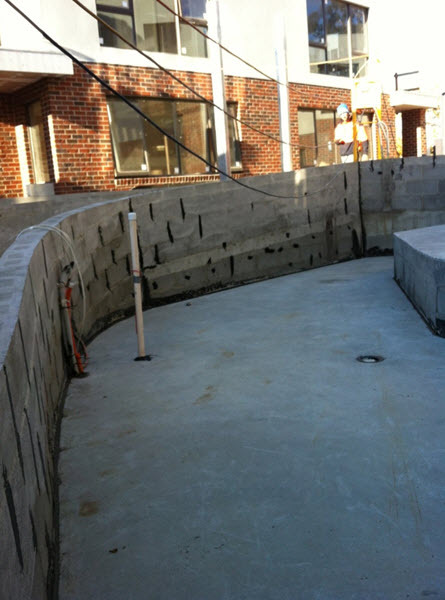 The perfect waterproof preparation to ensure membrane adhesion for retaining walls is a rendered / bagged surface. 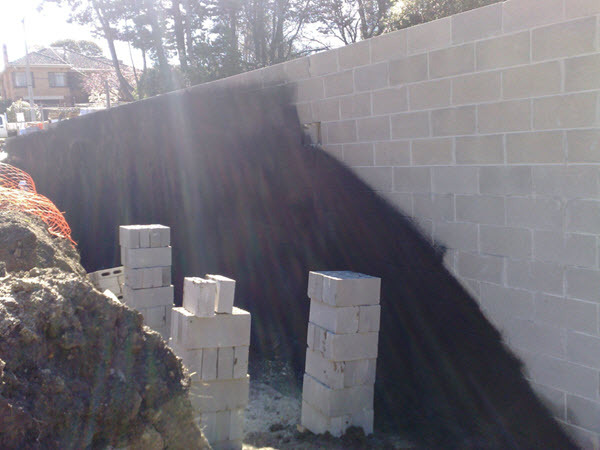 Our Team, Findlay & Evans, apply rendering to all cement block walls prior to application. We also prepare the footing and foundation joins with flexible Geotextile Bandage to bridge all surfaces. 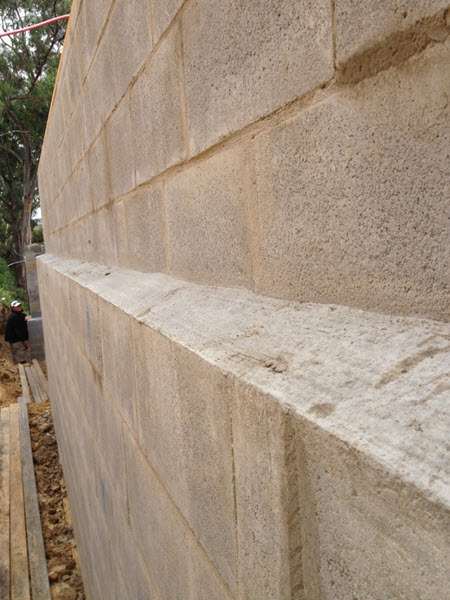 Also as part of our waterproofing method for retaining walls, we fill all wall voids, form-tie holds and joints. 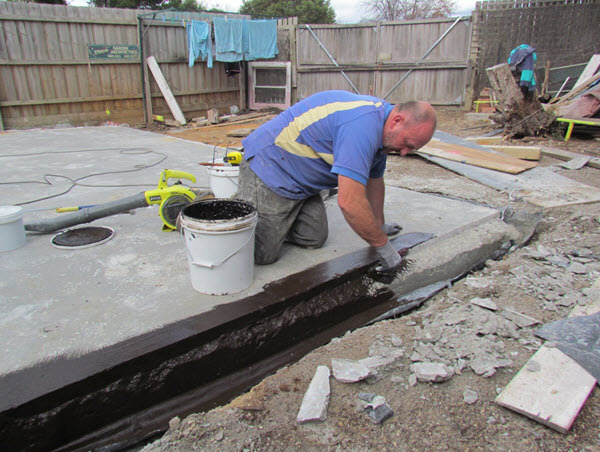 We have tried many different types of basement waterproof materials; Findlay-Evans recommends the best basement waterproofing product is: Liquid Rubber membranes. Liquid Applied Membranes are spray or roll on application with an acrylic eco-friend Liquid Rubber. Liquid is applied in three coats (each in a different direction- preferred) - allowed to cure for another couple of days. 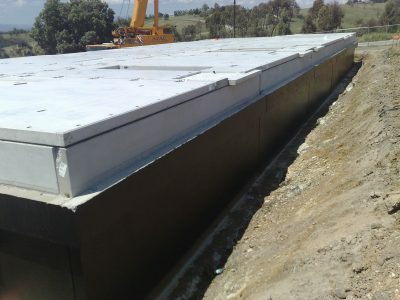 The waterproofing membrane on retaining walls always need protection. Arma-Blue semi adhering protection sheet is to be applied over - to protect the membrane from damage and also provide an additional water deterrent. The membrane and protection sheet should extend up slightly higher than the desired garden bed finished height. After that install Arma-Blue protection sheet by overlapping the joints (or core flute at minimum) to protect the membrane. Once the Arma-Blue is installed you can go ahead and do all the back filling of soil. If it's possible to install AG drains (agricultural drains) and a silt pit - generally done by a plumber - this would the time to install them. It might be necessary to install a deep silt pit with a small evacuation pump to remove the water that will pool at the base of the wall. You can install a drainage layer over the Arma Blue as well which is preferred as this will direct the water to the AG Drainage pipe. The drainage layer is a layer of cuspate HDPE (High Density Polyethylene) sheet that comes in a roll with GEO fabric covering. 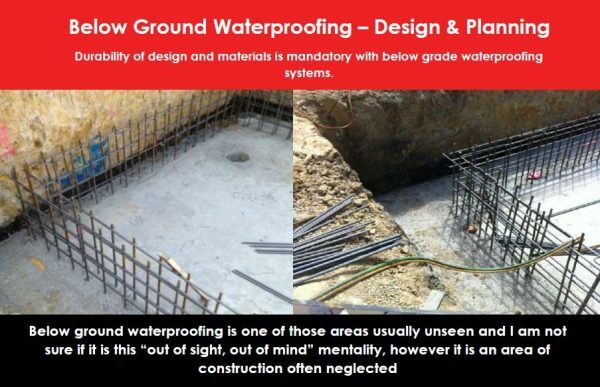 Inadequate waterproofing, or in some cases even the complete absence, is often the cause of catastrophic & expensive leaking basements. The risk of below ground structures leaking, either retaining walls or basements, can be eliminated by waterproofing correctly. Basements with inadequate waterproofing are an expensive exercise to repair. Consider the cost involved: excavate behind wall(s); install new membrane and drainage; backfill;make good gardens,footpaths, driveways etc; pay for damage to owners belongings. 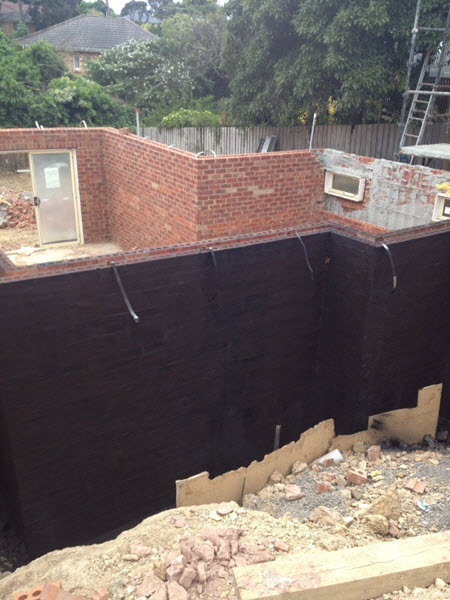 Liquid Applied Membranes are our method of choice to waterproof retaining walls and all below ground tanking. 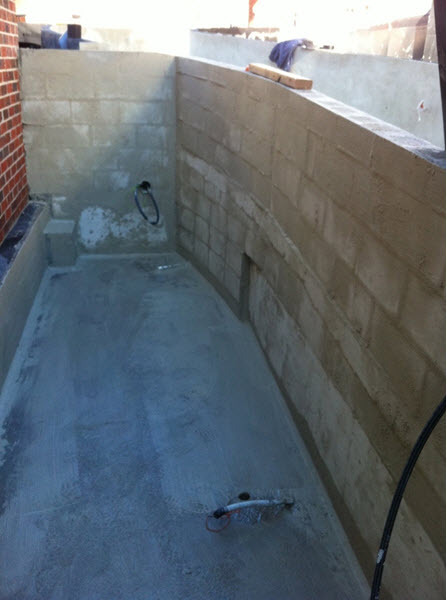 Cement blocks are very porous and it is imperative the surfaces are waterproofing correctly. The inherent porosity of ﻿﻿﻿block work﻿﻿﻿ often causes mortar to break down, allowing water moisture to penetrate leading to structural damage. 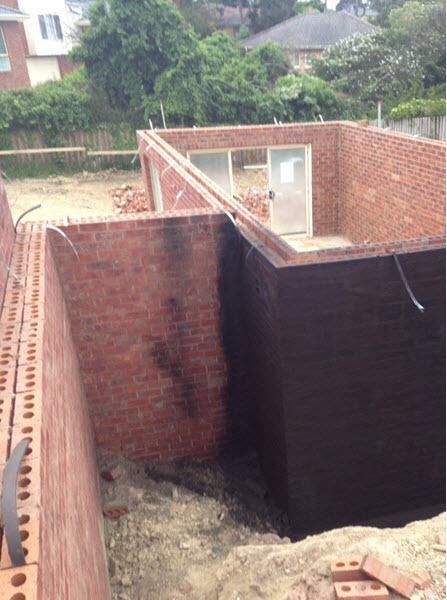 Obviously correct waterproofing installation is critical for all structures using cement block work. Concrete blocks are used to construct a large variety of above & below ground structures. Spray applied down to footings & waterproof "cove join". Membrane that is tough, resilient & highly flexible. No heat, flames, fumes or adhesives - safe for all trades on-site. Seamless membrane to retaining wall - no joins or seams. 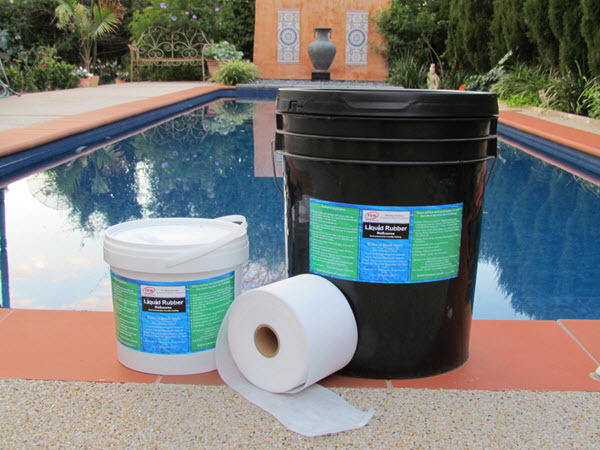 For smaller projects or for the Owner/Builder, Liquid Rubber Membranes can be applied by brush or roller from handy DIY Buckets. Together with Arma-Blue protection sheets, waterproofing small retaining walls is easily achieved by the DIY market. For further information - see link below.